What a sweetie! 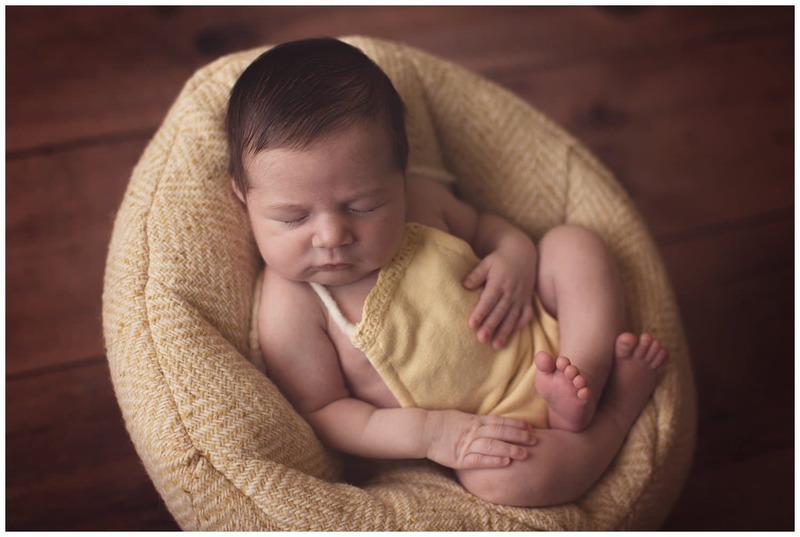 I had such a great time capturing this little one in her first photo session to document some special newborn moments. I love working with newborn babies. 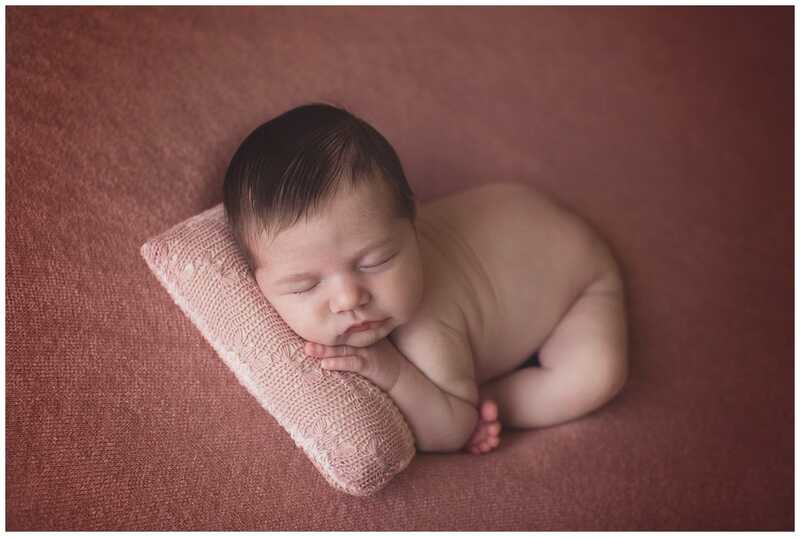 It is a challenge that I enjoy and strive for the best baby photography. There is an art to capturing their little personalities. They may be brand new to the world but each of them is unique and already has elements of the adults they will be before anybody knows it. 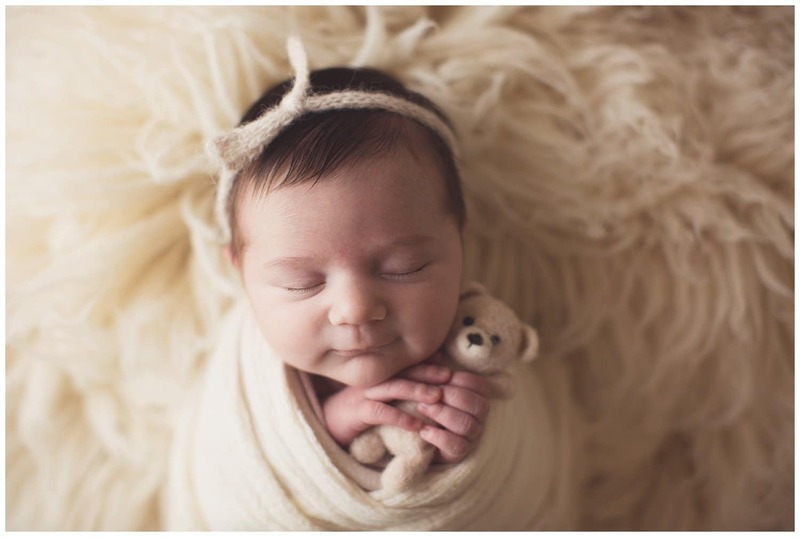 This little girl did not seem bothered by the fuss of her newborn session. She was perfectly fine with the wardrobe changes and different poses she was a part of within each set. We kept things simple and a little girly; pinks, headbands, a splash of sparkle. 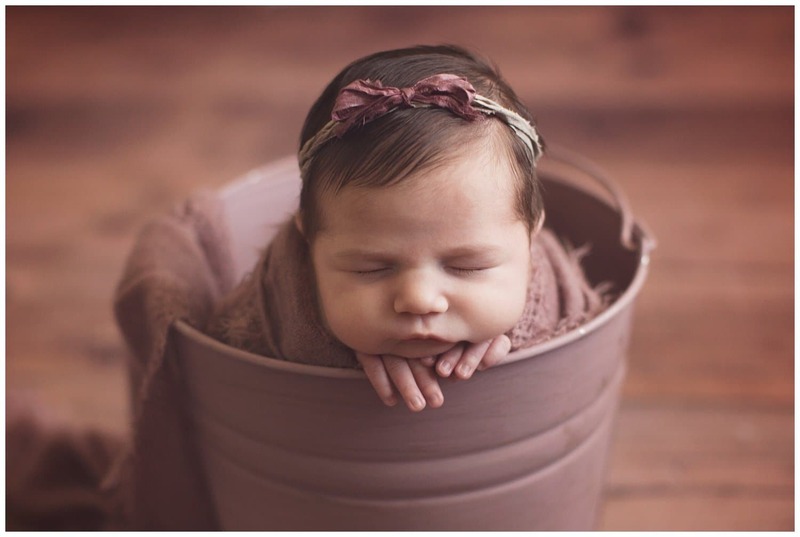 She may have been a sleeping beauty for her session but we got lots of different expressions from her. All adorable! I have to say, I love the image of her swaddled up in shades of cream with that tiny teddy bear. She just looks so peaceful and pure; a hint of a smile on her sweet face. She is such a beautiful baby. 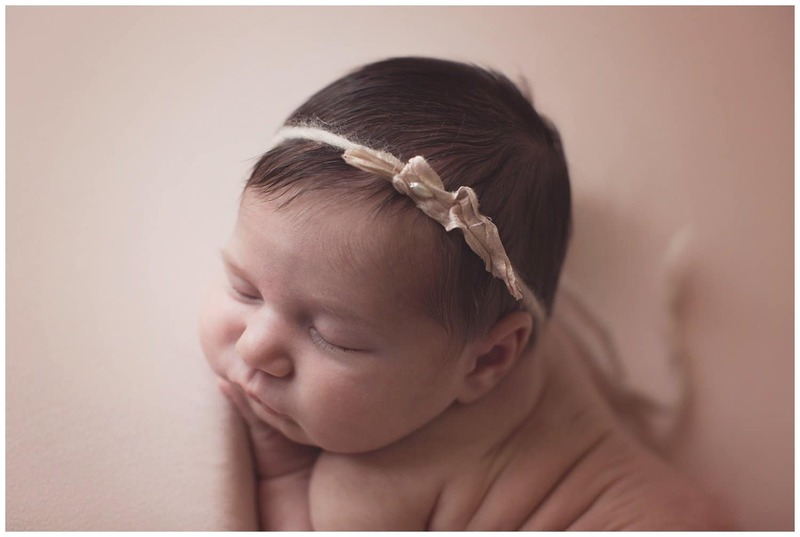 A head of hair and cute chubby cheeks make her look like a little doll. Her eyebrows are what set her apart from some newborns though. Often they do not have pronounced eyebrows or lashes so young, but this little darling has a great set on her. They make the difference in her sublime changes in expression. I had a great time capturing this beauty of a baby. Capturing sweet little ones as their photographer is such a joy and honor. Ten tiny perfect toes, feather soft hair and delicate perfect features. What more could I ask for?! Are you interested in capturing the first days of your little blessing’s life? Let’s chat! I would love to discuss your newborn photography needs.